The Sicilian is black’s main response to the move 1.e4. 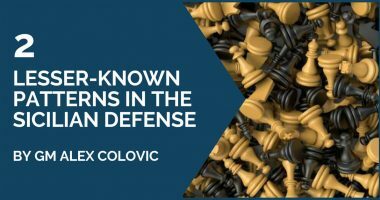 Many 1.e4 players spend a considerable amount of time studying the main lines of the Najdorf Sicilian or the Dragon and, no matter how much time they dedicate to these variations, preparation never seems sufficient. There are simply too many choices, too many possible weapons for black and during a tournament you can easily become a victim of not knowing a theoretical line or even forgetting it. We only mention these two variations because they are critical and they both have the fact that white needs to play very accurate and know the theory very well in common. Otherwise, he might end up worse and even lose. In other words, mistakes and imprecisions can cost a game in such sharp lines. 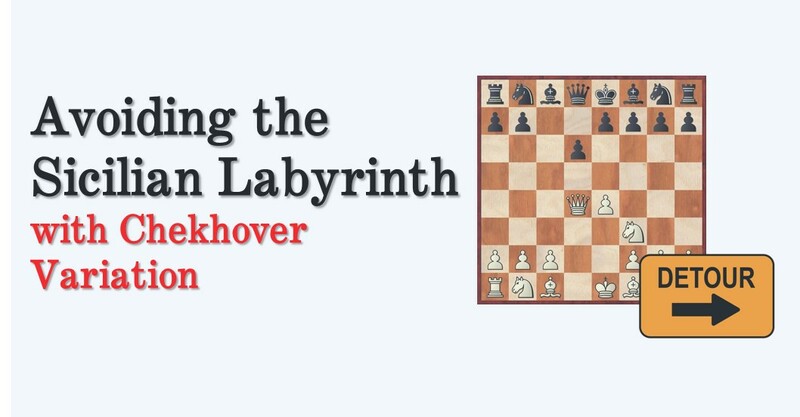 In the present article we are going to have look into the Chekover variation connected to the Maroczy bind type of positions. ”The Chekhover”, named after Vitaly Chekhover, but also known as the Hungarian variation or Szily variation, is defined by the capture on d4 with the queen, after the moves 1.e4 c5 2.Nf3 d6 3.d4 cxd4 4.Qxd4. Years ago, this variation was a rare guest at grandmaster tournaments, being played mostly at a lower level. 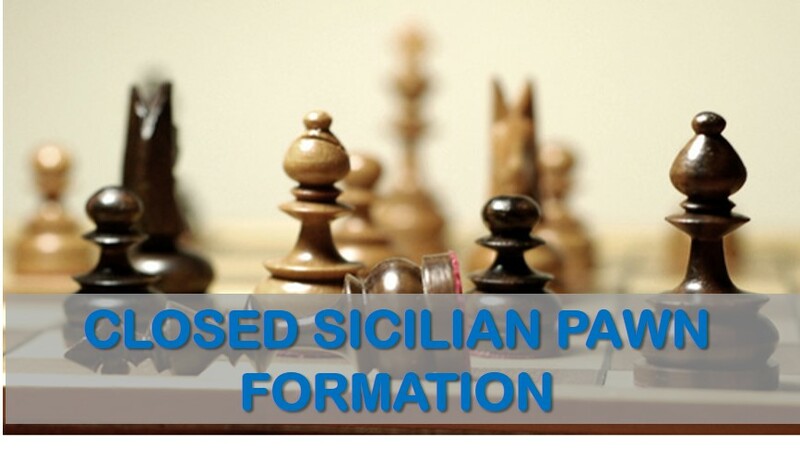 However, this trend has changed and now there are many strong grandmasters playing it and demonstrating that this is just another way to play against the Sicilian and white can push for an advantage. What should they do in positions with no such elements available, or when these elements are much more subtle? Click here to learn the answer. Flexibility. The variation allows white to be flexible on his plans, there are many points in which white can change the character of the position and the way to develop his pieces. 1.e4 c5 2.Nf3 d6 3.d4 cxd4 4.Qxd4!? a) 4…Nc6, immediately attacking the queen. This is a natural response to which we are answering with the move 5.Bb5 Bd7 6.Qd3!?. This is a modern way to treat this position. The old main continuation was 6.Bxc6, but we want to retain our bishop a little longer and continue with c4. Theoretically, the evaluation of this line should be about equal, but there is plenty of play for both sides. b) 4…a6 Another logical move. 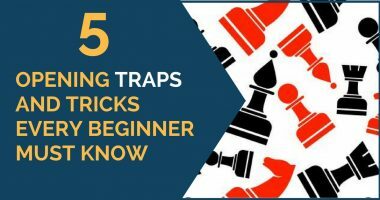 Black wants to develop the knight gaining the full tempo, plus the move a6 is useful in most setups. Against this move white should go 5.c4 Nc6 6.Qe3!? This was played by the world champion Carlsen himself and with success. c) 4…Bd7 Black anticipates the move Bb5 and is now threatening to play Nc6. It is very similar to the idea of 4…a6, therefore white can apply the same style of play: 5.c4 Nc6 6.Qd2, although the idea of retreating the queen to e3 is still an option for white. The line looks interesting in general, we hope you find it appealing and it can serve you in your tournaments games. Good luck. What will be the answer after 4…e5 ? ?